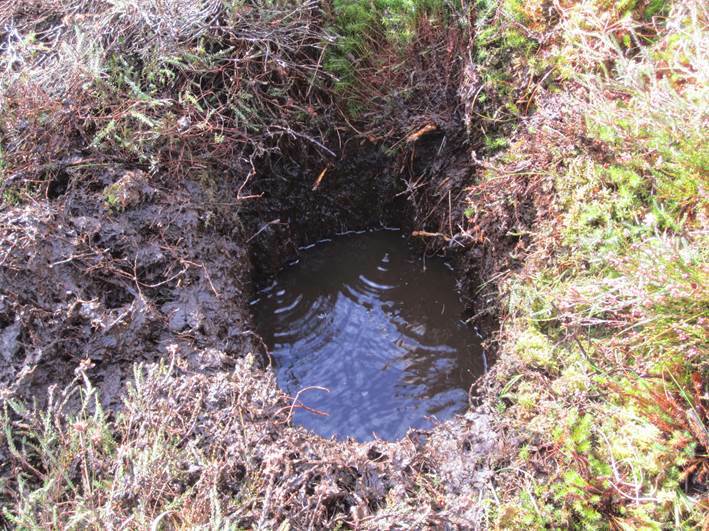 A gypsy well, sometimes known as an Indian well, is a hole dug to collect water. Typically they’re dug in a place where the water table is just below ground level, so on low lying ground or damp ground. I’ve also dug one in an almost dried up small stream bed. You might be able to use the presence of water indicating trees such as willow, alder or poplar to give you a clue that your in a good place to dig. 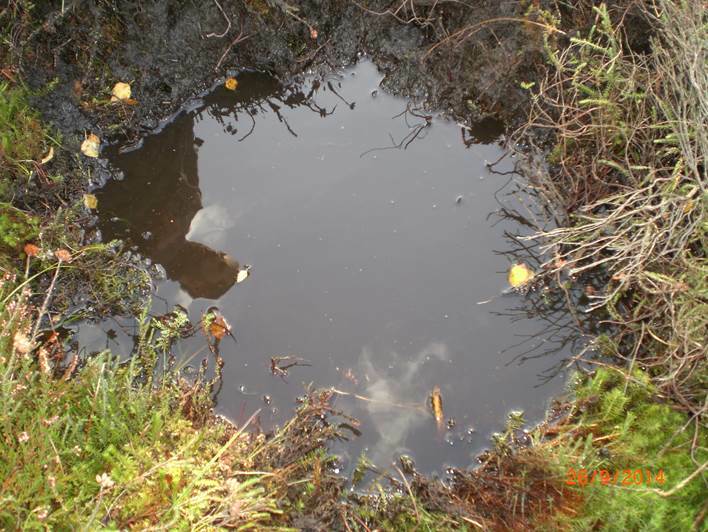 As with any water collection, there are some things to avoid when you’re digging a gypsy well. Keep a sharp eye out for the presence of industrial and agricultural run off, poisonous plants such as hemlock water dropwort and areas with sheep and other ruminants that can carry parasites such as liver fluke. On our recent trip to the Isle of Arran we dug a gypsy well, but instead of heading downhill, we went up! This was because at the top of the hill the woodland opened onto a small plateau of peat which we’d noted to be particularly wet under foot on a previous excursion. So we started digging, after taking in the view again actually, but just look at that background!. Dig the hole so that it is square, about 50cm on each side and about the same deep. Try to get the sides and bottom straight and smooth. You can line the edges with sticks, sedge leaves or other material to stop soil dropping in to the hole. 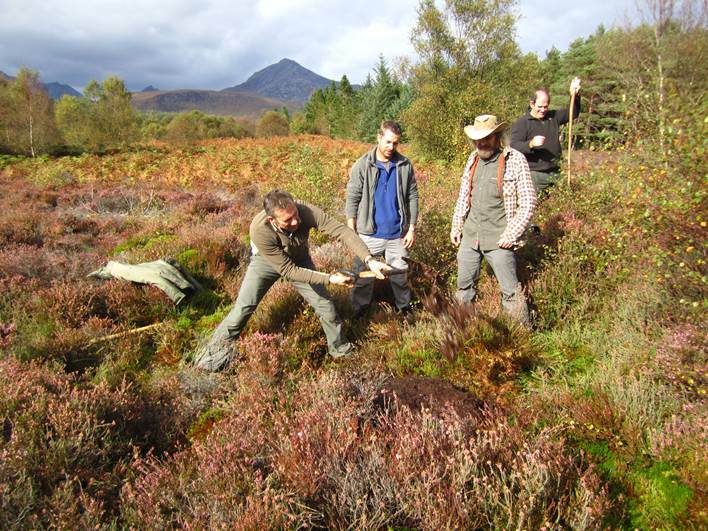 In the photo below you can see Gary digging away on his second shovel after splitting the handle on Mark’s long handled shovel – sorry mate. If you are leaving the well, put a stick in so that any small wildlife can climb back out. Whilst this is the humane thing to do anyway, you don’t want dead animals contaminating the water. You should also cover the well to stop things dropping in, but remember to mark it’s location, so you can find it again, and to stop other people from falling in. This was our freshly dug gypsy well, starting to fill up. If the well fills up slowly, it should give any sediment time to sink to the bottom. In the past where I’ve done this the water has sometimes been perfectly clear. Sometimes however, not so. When we came back the next morning, it was to find that the water was pretty murky. We used Joe’s millbank bag to filter the water. 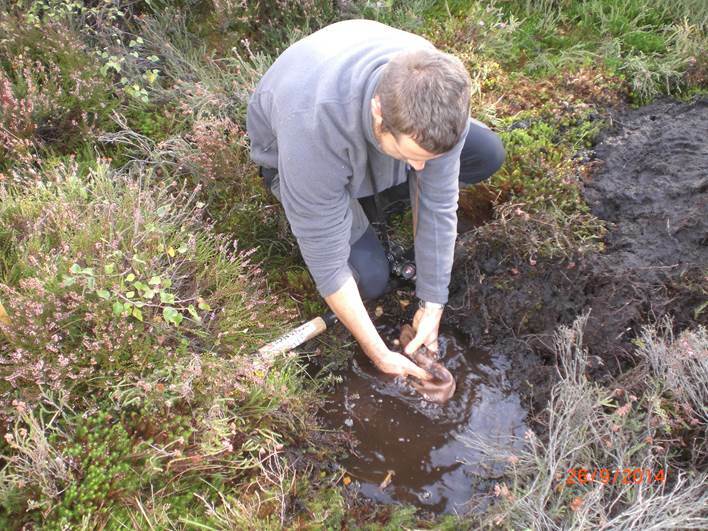 In this photo he is soaking the bag to allow the fibres to expand, making the holes in the bag smaller and therefore filtering out smaller debris. Whether the water has been filtered, or is already clear, it will need to be purified. There are loads of chemicals and devices on the market to do this, but a rolling boil will do the job. And when it’s time to move on, remember to fill the well in again.